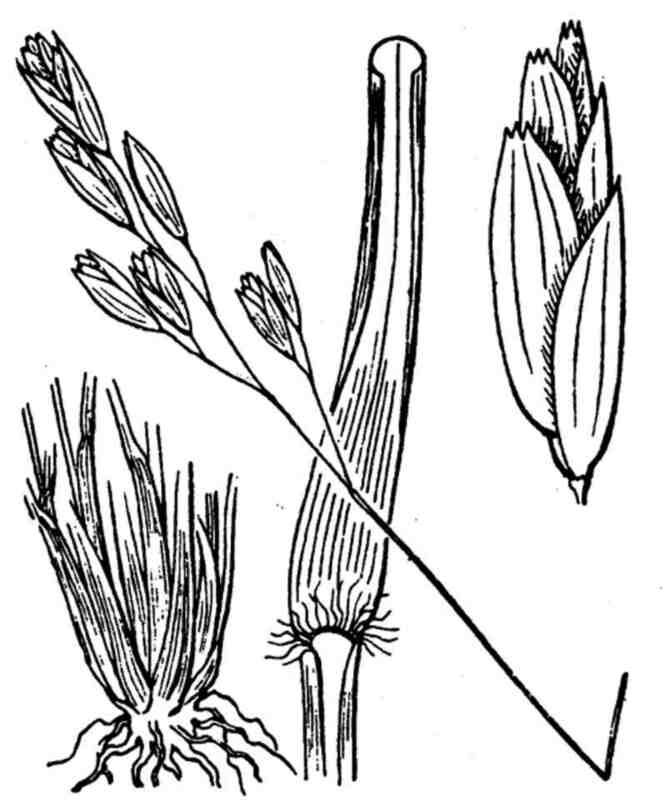 LATIN: Danthonia decumbens (L.) DC. Habitat: (view in new page) :Secondary : Mountainous grasslands on silica, Pastures and grasslands of the valleys (limestone/silica), Damp meadows with mat-grass and rude rush. 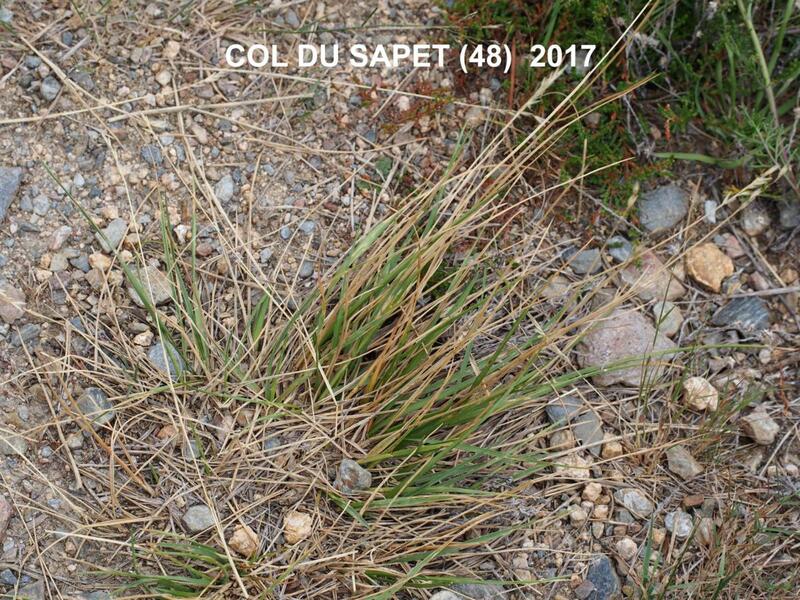 Habitat : (s'ouvrir nouvelle page) :Secondaire : Pelouses montagnardes sur silice, Pâturages et prairies des vallées (calcaire/silice), Pelouses humides à jonc rude et à nard. 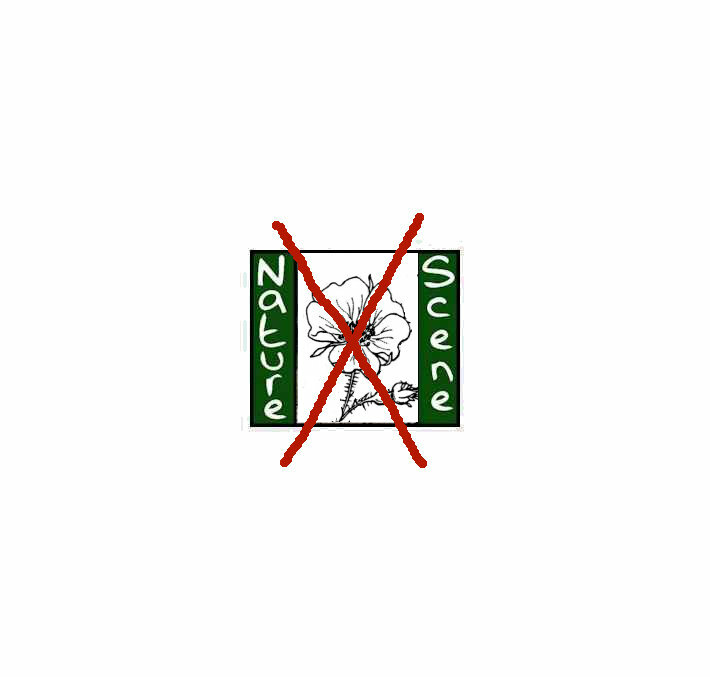 Écologie : Landes et pâturages siliceux humides, dans presque toute la France et en Corse. A slender, rather hairy plant with many erect spreading or procumbent, slender, smooth, stiff, stems 0-50 cm high, growing from a dense tuft of leaves. Ecology UK: It grows, often abundantly, on heaths and poor soils throughout the British Isles. 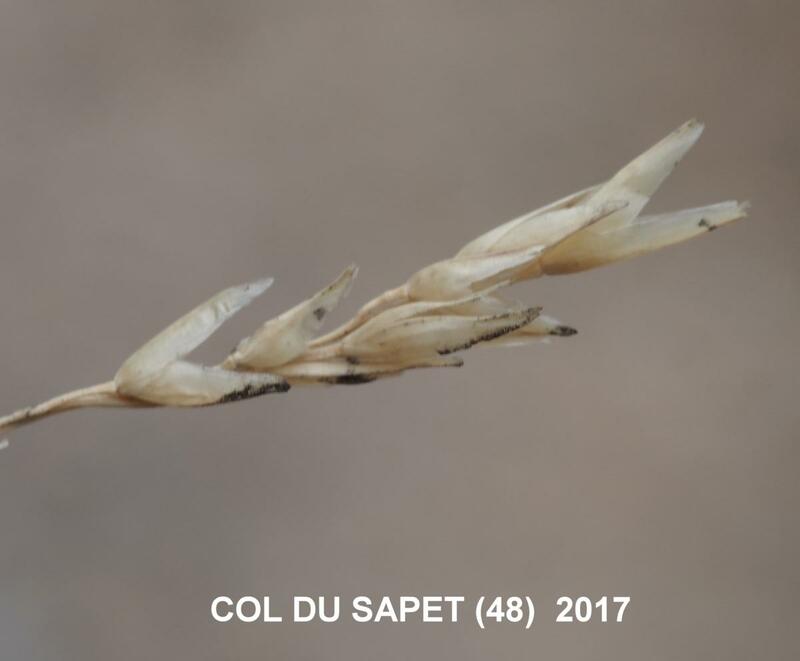 Fleurs : glumes égalant les fleurs, lancéolée-aristées, trinervées ; glumelle inférieure ciliée sur les bords vers le milieu, terminée par trois dents courtes et égales, la médiane parfois mucronée-aristée. 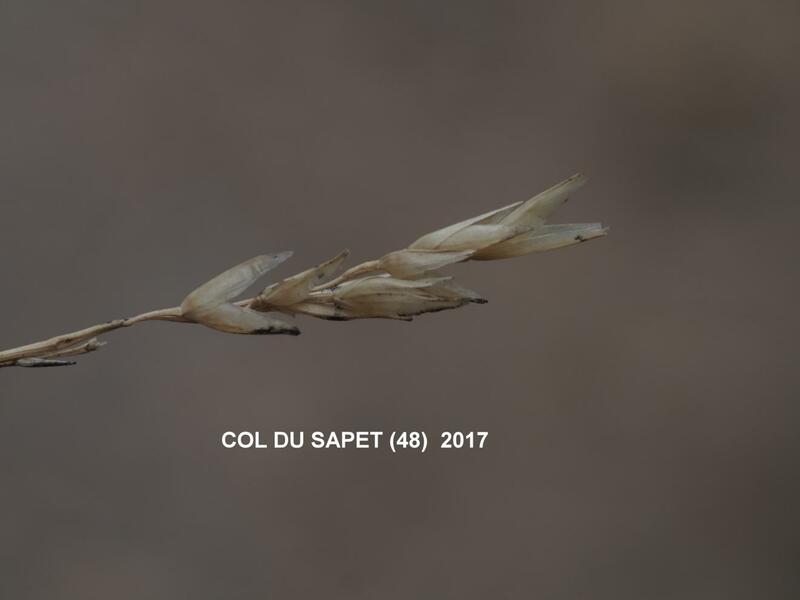 Flowers: Spikelets 6-12 mm long, 4-6 flowered, purplish or green, in a short, narrow spike-like panicle; glumes equal, 6-12 mm long, lanceolate, pointed, acute, 3-5 nerved, with translucent margins; lemma 5-7 mm long, broadly ovate, with a three-toothed apex, 7 fine nerves and a tuft of hairs at the base and along the lower margin; palea equalling lemma, with two shortly hairy keels; anthers 0.2-0.4 mm long. 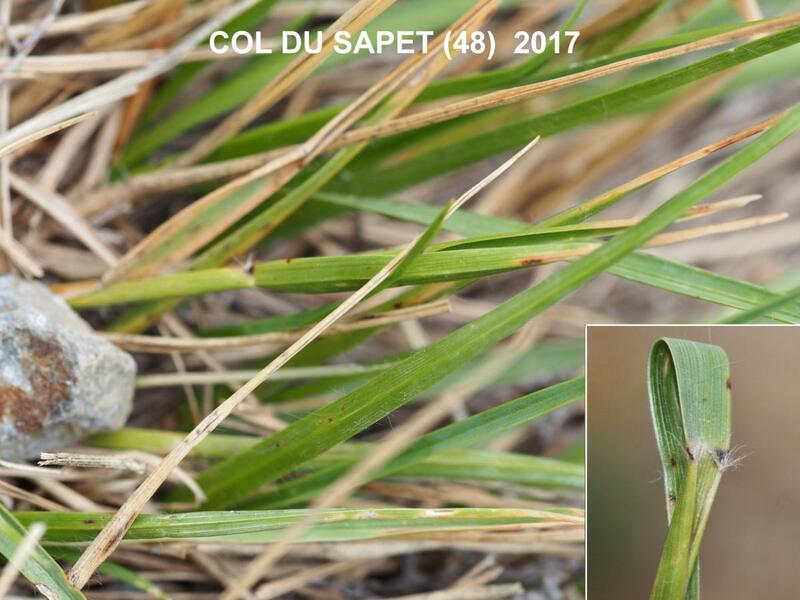 Leaves: 2-4 mm wide, flat or in-rolled, sparsely hairy, rough; ligule a ring of hairs. Fruit: Seed 2.5-4.0 mm broadly ellipsoid, rugose, green, styles persistent, furrow short.